Most of us know how good we used to feel. When we were kids, we could run around all day, fall asleep anywhere, and wake up without any aches or pains. That changes over the years, as our bodies start to feel the effects of aging. If you’re 40 and are coming to us not feeling so great, whether you’re looking for a treatment for back pain or are having neck pains that you can’t seem to get over, we can’t necessarily help you feel 18 again. But it will be our goal to get you to a place where your pain is relieved and you can feel more like yourself. Here are some of the most common benefits you can get after you visit us here at Flex Chiropractic. All of us need exercise, and unfortunately many maladies that require chiropractic care can get in the way of getting it. Even worse, sometimes it’s the exercise itself that has caused the need for chiropractic care — herniated discs come to mind — and returning to a workout routine can be a mental hurdle as well as a physical one. Getting back on the horse is one thing, but returning to exercises that threw out your back is something else entirely. One excellent part of working with a chiropractor is that they aren’t just providing chiropractic adjustments; they’re also providing information. A chiropractor can provide exercises that will strengthen your ailing body and also give advice on how to avoid those problems again. Pain relievers can be wonderful, because pain can range from mildly inconvenient to debilitating. Occasional pain is going to show up in everyone’s lives, whether it’s due to sitting too long at a desk or sleeping on an uncomfortable hotel bed. But you don’t want to be on any pain reliever for too long. Even the most common, such as ibuprofen and acetaminophen, can affect your organs if you take them for too long. Stronger painkillers can be addictive, so it’s better if you don’t even start on them in the first place. If chiropractic medicine can help you reduce the amount of pain medicine you need to take, isn’t it worth a try? The fact is, standing up straight after having back pain can be a huge boost to your self image. When a person is seeking lower back pain treatment, they are often walking very slowly and intentionally, much like an old person would walk. Once that pain goes away and a back is properly adjusted, a person can often stand up straight and walk properly. That goes a long way to making someone feel better about themselves. Most people who have a back problem do what they can to hide it, because they’re worried about what others around them are thinking. But while they might try to hide their pain, it often comes through anyway as their walk is affected or when they try to get out of a chair. After a while, everyone knows the truth. If you are experiencing pain and want to improve the way you look in public — whether it’s by standing up straighter or not crying out in pain! — seeing a chiropractor in Lexington or Columbia might be exactly what you need. Many times people will come to us with pains that are affecting their occupation. First of all, they’re tired of sitting (or lying) around the house all day, because doing that wears quickly on just about everyone. Maybe they don’t have either short-term or long-term disability, and getting back to work is the only way in which they can secure their paycheck. Whether you’ve been injured on or off the job, our chiropractors can help. It doesn’t matter what you do for a living — office worker, cook, or piano mover — because we are ready to treat you and then teach you the right way to help your back so that it doesn’t happen again. The fact is, being in pain is exhausting. Not just physically, but mentally as well. It drags many happy down and can even cause depression in others. Pain that’s there day after day can affect a person’s emotional state, and sometimes they can feel hopeless because they think that they are going to be in pain every day for the rest of their lives. Getting out of bed to face a day of pain isn’t something that anyone should have to experience. How can a chiropractic clinic help? If the healing process can begin and pain can be reduced — or better yet eliminated — then a person can start to heal mentally and emotionally as well. Pain is no laughing matter, and we have many ways of treating lower back pain, neck pain, and many other maladies that affect the human body. Our chiropractic clinic can provide you with many types of care, including chiropractic adjustments, electrical stimulation, spinal decompression therapy, cold-laser therapy, ultrasound therapy, and more. 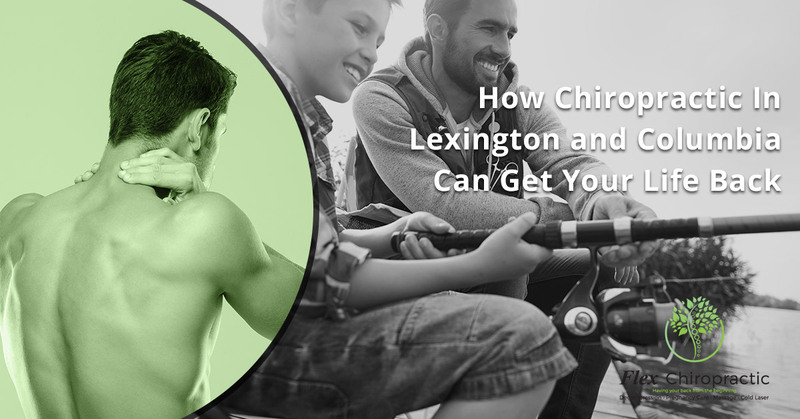 Click here to pick your chiropractic office in Lexington or Columbia!